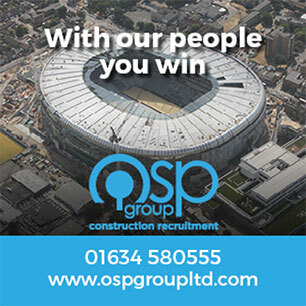 The Invicta Dynamos are delighted to announce a new corporate partnership with construction recruitment firm OSP Group Ltd who have agreed to back the club for the 2018/19 campaign. OSP Group Ltd are based locally in Gillingham but also have offices in both London and Hertfordshire with clients across the capital and throughout the Southeast. The family run business provides a level of service and quality of personnel that gives their clients a competitive advantage and ensures their construction projects run on time and within budget. OSP has built a reputation for sourcing, training and motivating the people the UK needs to fill the critical skills shortage in the construction industry. Their approach is to select candidates based on their proven skills and work ethic, whatever their nationality or background. OSP can provide and place any construction specialist for any given project, even at very short notice. They serve construction companies that often have complex and pioneering building projects and make it their business to get a full understanding of client requirements. OSP’s approach is to find out what you need and work to meet that need – full time, part time, short term, long term, fixed price, whatever the project requires. OSP maintain an active and growing list of high quality candidates representing the full suite of site skills and trades. Your requirements will be met with experienced, knowledgeable and enthusiastic workers with all the candidates screened to ensure they have the background, education and experience to fit your needs. There is a high demand for M&E contractors and so OSP keep their database up to date with the best candidates. They provide experts for a range of new and refurbishment builds demanding the highest levels of skill. OSP serve local, regional and national companies across a range of contract types. 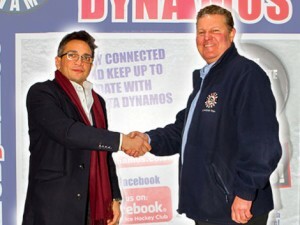 Speaking on the conclusion of this new agreement, Director of OSP Group Ltd Costas Pieri said, “OSP Group are delighted to announce a partnership / shirt sponsor deal with the Invicta Dynamos. Our aim is to not only expand our own brand but also to assist and support various sports in the local community. “At OSP we believe that having the correct work ethic and dedication will always lead to your goals being achieved, whether that be in sport or business, for this reason we will support the Invicta Dynamos through this difficult period and hope they can overcome the challenging season ahead”. Invicta Dynamos Director Jackie Mason announced, “The club are very pleased to have the backing of Costas Pieri and OSP Group Ltd. OSP are a thoroughly professional organisation at the peak of their field and a testament to what can be achieved with ambition and dedication. We are grateful for their support and will be working together to promote both their quality services and the team. We hope this may be the start of a long and fruitful partnership for both parties”.